I have potential problem: one of my little travellers has a touch of anxiety about flying. With two foreign holidays lined up this year I really don’t want this to escalate. So what can you do if your child has a fear of flying? Just as a bit of background, my eldest daughter who is just about to turn six is a bit of a worrier. On more than one occasion in the past year she has mentioned being afraid of flying. She also doesn’t like saying goodbye to people or going to bed without her very special bunny. We’ve learned to manage these little quirks, but flying anxiety is something that has only raised its head in the past year. Is it a real fear of flying? I think part of her reaction is that she enjoys the attention when we try to placate the situation. I know that doing this too often has the potential to turn it into a ‘thing’? 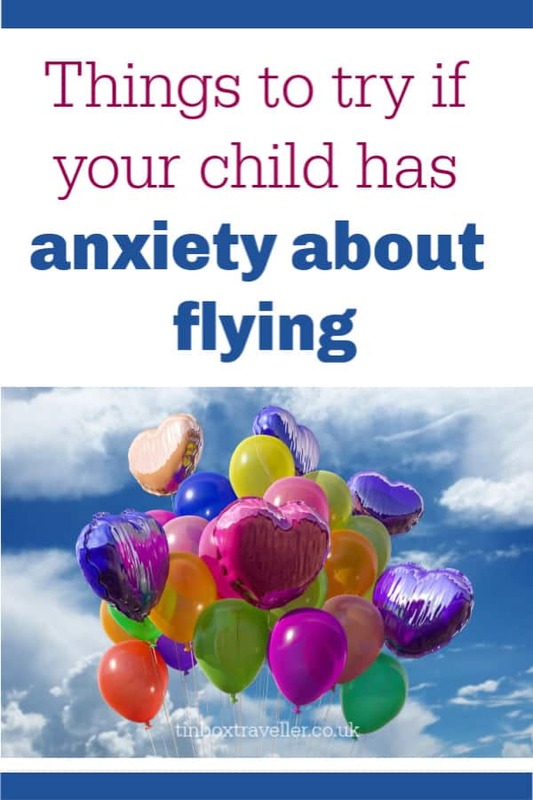 And I certainly don’t want any anxiety about flying to rub off on three-year-old Baby. I don’t have a fear of flying. In fact I quite enjoy a bit of turbulence knowing that it’s very unlikely that it can do any harm, as side from spill my coffee. Mr Tin Box is the same and we have always talked about the clouds outside the plane windows and looking for landmarks on the ground to make flying fun. So, I’ve had to do a bit of brain wracking to work out where this has come from. Tot took her first flight at 18-months-old and was a star. Seven more flights have followed. It was only last summer that Tot mentioned she was afraid of flying for the first time. We flew to Italy for a holiday in Lake Garda with my parents. It was a small plane with seats arranged two by two. We managed to get five seats together on the way out with my Dad in the row behind and Tot sat next to me. She asked me questions about the passenger safety instructions and feigned a bit of fear but quickly got stuck into a lolly and games on our tablet. So that everyone had their fair share of sitting beside mummy, we said Baby could sit with me on the flight home. However when we checked in we couldn’t all sit in the same part of the plane. Tot and my mum were several rows in front. She wouldn’t sit next to the window or look out and had to come back to see me a few times. Since then her fear of flying has come up a handful of other times when we’ve been talking about holidays. On reflection, I think this is when a seed of doubt was planted in her mind. There haven’t been tears and I don’t think I’d have to physically drag her into a plane, but it’s obviously playing on her mind. And there’s always the potential it could become more of a flight anxiety. So, as we prepare for our next foreign holiday, I asked some well-travelled friends if they had any advice about airport anxiety. I also did a bit of online research about helping children overcome a fear of flying. I’ve already mentioned that I don’t have a fear of flying. But I have always been conscious that it must be a very strange experience for a baby or toddler. This is why we prepared lots of things for Tot and Baby to do during their first flights. We’ve also talked about how exciting our holidays abroad are going to be and pointed out fun things inside and outside the plane. 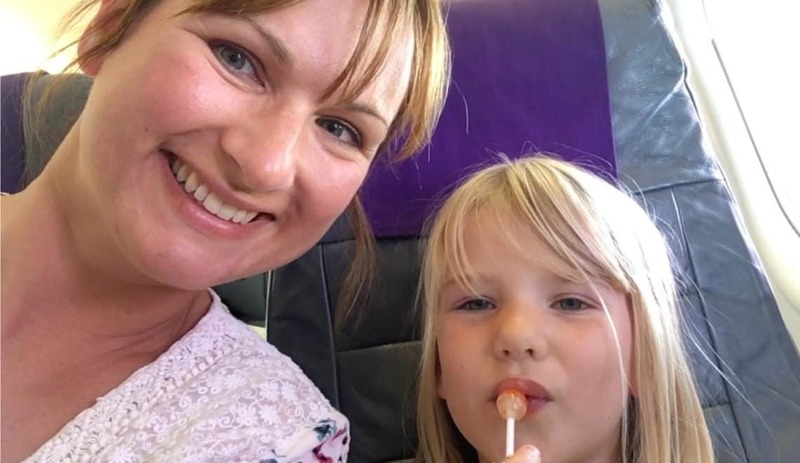 Cathy who writes Mummytravels regularly flies solo with her daughter and also uses this tactic: “One thing my parents did, which I was only aware of in retrospect, was playing up the excitement: ‘isn’t it all amazing’; ‘ooh we’re taking off’; ‘can you see the clouds’, etc. I still get a bubble of excitement to this day… I tried the same with my daughter who is astonishingly blasé about the whole thing, but not scared at least!”. We are going to continue on this tack, showing Tot pictures of where we are going and talking about how it’s going to be an exciting adventure. There are a huge number of books and cartoons where characters go on holiday. Peppa Pig is still popular in our house, so I’ll be loading this onto our Amazon Fire for Kids. Tot is doing brilliantly with her reading and loves having stories read to her. 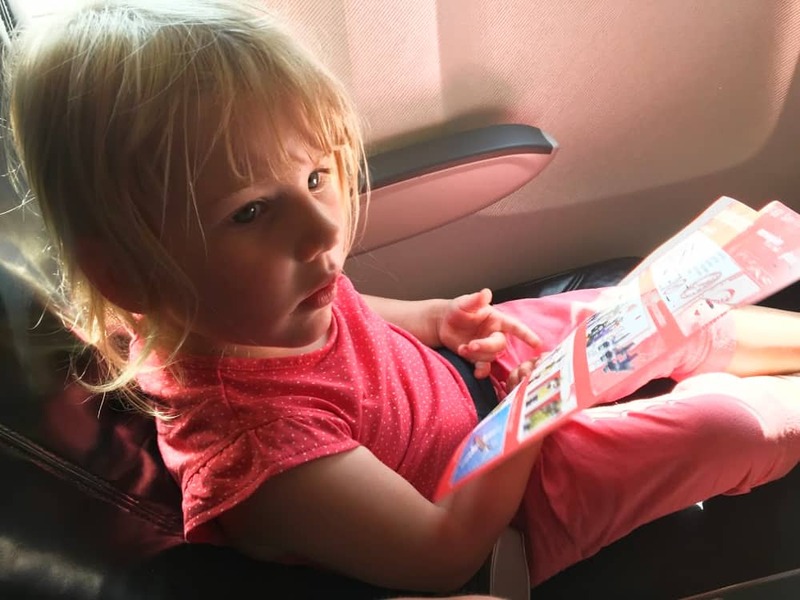 Non-fiction books are also starting to hold her attention for longer, so I’ve been on Amazon to find and order a few flying and airport activity books. I’m hoping these help to introduce her to the incredible things that go on behind the scenes before you board a plane – more distraction tactics! My girls love playing with the interactive My Town game apps and there’s even a game that will take them through what happens at the airport. It’s available on Amazon, the App Store and Google Play. This is something we’ll be able to use before and during our flight. Another game available on Google Play is Kids Airport Adventure. 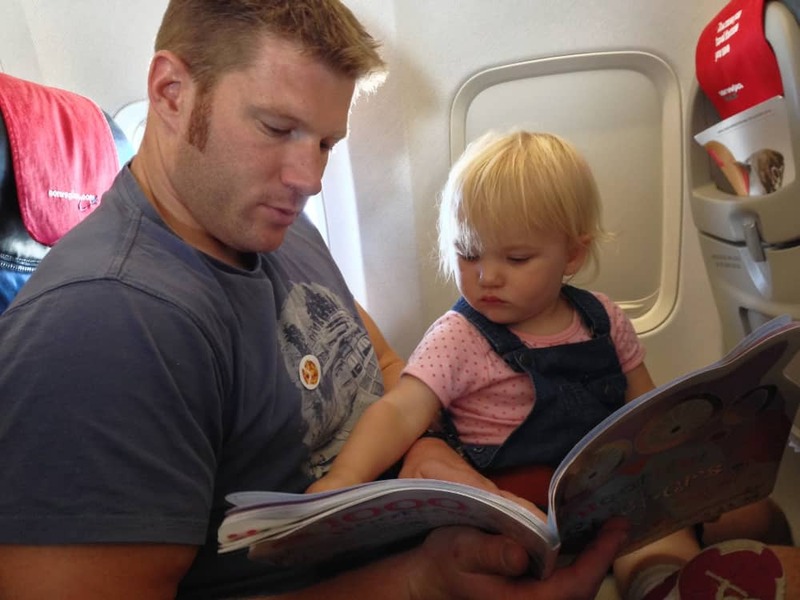 Carrie who writes Flying with a Baby is former cabin crew and now flies with her own children. She said: “Give nervous children a job, like holding the boarding cards to show the crew at gate and as you board the aircraft. Also ask them to find the seat number.” Carrie has lots more tips for nervous flyers. Tot loves having important jobs to do, so I think this will work a treat as a distraction when it’s time to board the plane. Even if a meeting with the pilots isn’t possible, at least the crew will be aware you may need support or extra distractions during the flight. Put your child at ease by dressing them in loose clothes and by making sure they have a favourite toy or comforter with them. We’ll be bringing special bunny who I mentioned earlier. Another important, thing to do is make sure you child has eaten. Low blood sugar levels can add to anxiety and certainly affects our Tot’s mood. Mindfulness is on trend at the moment and even the NHS are recommending it as a way to bring clam into the busyness of modern life. Of course, there are loads of apps targeted at adults, but I was pleasantly surprised at how many there are for kids too. Here’s a really good round up of kids mindfulness apps for iOS and Android. A lot of them are free so I’ve downloaded a few to use before our trip. If you’d like to read more tips on how to overcome a fear of flying then Emma who writes A Bavarian Sojourn has some tips for anxious flyers. 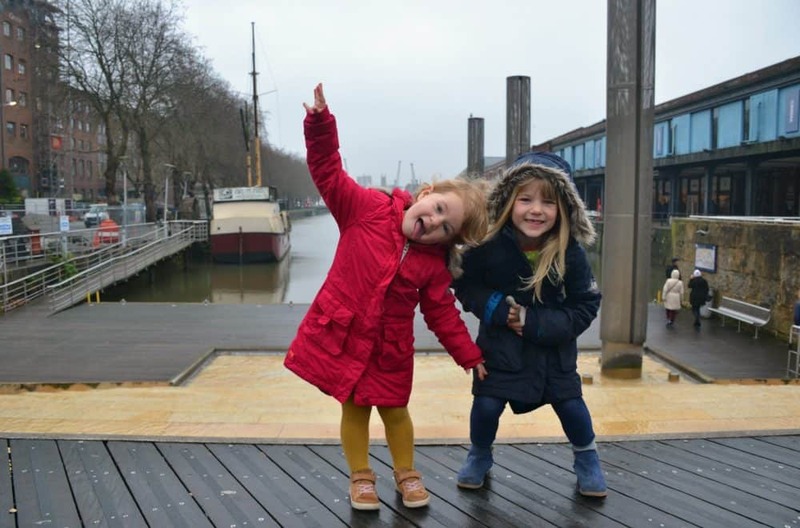 This post about travelling with a child who has anxiety by Gretta who writes Mums Do Travel is also really enlightening. Looking for more family travel tips? Read my advice on packing, road trips, travelling alone with kids, and more. Have you experienced a fear of flying or have your children? I’d love to hear any advice you have. Disclosure: this post contains affiliate links. If you click on one of these links and make a purchase I may earn some commission. The does not affect the price you pay. Balloon image courtesy of Pixabay. 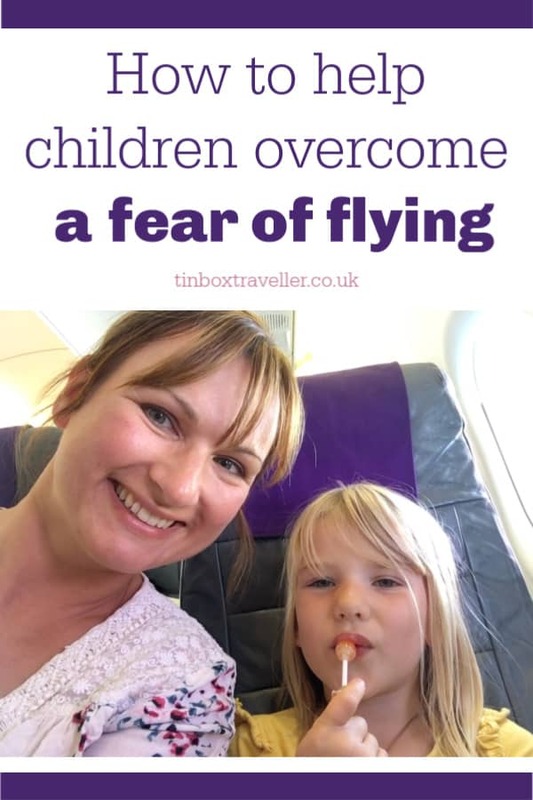 If you’ve got a holiday abroad coming up and are looking for ways to help your child overcome a fear of flying then why not pin this post for later? Fab tips. Jack went through a phase of being really scared for around a year. All of a sudden, he just snapped out of it by himself. We didn’t book any holidays during that period as it was so bad that if I mentioned going on holiday he’d cry and I didn’t know how he’d react if we were actually in the sky. I’m so glad Jack’s worries sorted themselves out. Isn’t it strange how a minor wobble can turn into something so deeply felt? Fingers crossed well be able to get through this like you. Thankfully it’s not been too bad so far.